First, the Wild Frontier Quadrant has a new home here! This should make it easier for KAG recruits in New England to locate a ship near them. The Korelath is preparing for another great Star Trek Cherry Hill convention next month. 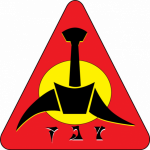 I recently put together a Facebook group for other Andorians, The Andorian Mining Consortium. It has really taken off lately! Lissan, our resident Andorian warrior-songstress, was able to fund her first EP, Ice Queen, via Kickstarter. Congratulations! And, finally, the big news we’ve been holding onto for a while: More congratulations are in order to Lissan, who will be featured on an upcoming episode of True Life on MTV this coming Saturday, March 15, at 11:00AM EST. The episode is titled “I Want to be an Obscure Pageant Queen” and chronicles our journey to Dragon Con and Lissan’s preparation and entry in the 2013 Miss Star Trek Universe Pageant.